In acknowledgement of this day, the last day of 2014, I would like to thank everyone who helped me with this blog, those who contributed to its content, those who gave me helpful guidance on the many aspects of making it work, and especially to those who have visited and commented on what they found here. 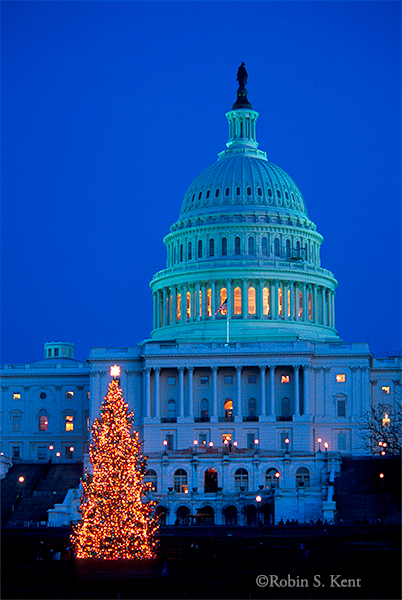 It is also appropriate to look forward to the coming year in anticipation of what it may bring. 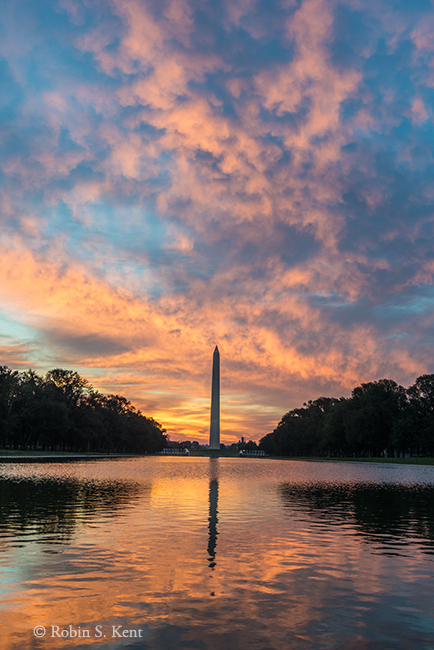 In that spirit, I selected an image of a sunrise over the Reflecting Pool in Washington DC. I hope everyone has a healthy, happy, and successful 2015. 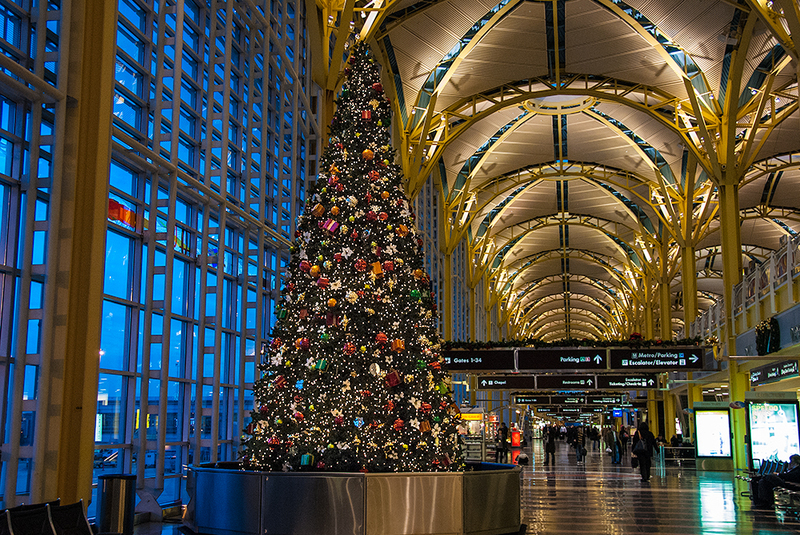 Holiday Decorations abound throughout the city of Washington and it is impossible to photograph them all. But one local blogger, the DC Bike Blogger, who gets around amazingly well, has cataloged a number of those that can be seen this year. You can find his list here. 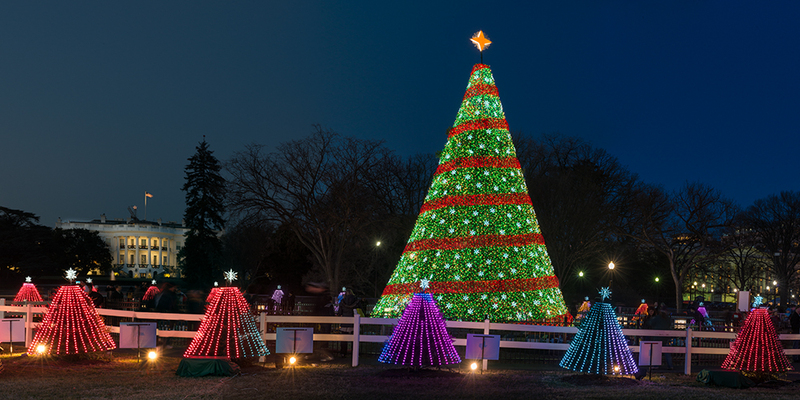 I have a few examples of Christmas decorations in this post, but all were taken in the past because I still have a few gifts to purchase today. 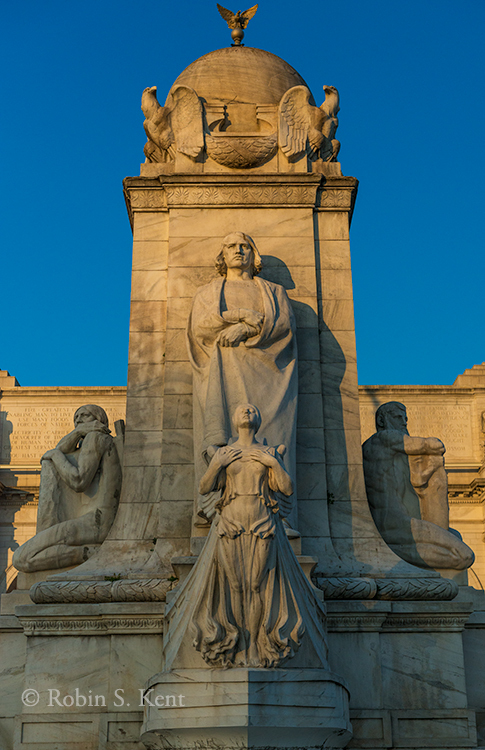 The last rays of the sun were illuminating the figure of Christopher Columbus as I approached the Columbus Fountain in front of Union Station in Washington DC. Each week, Stacy Fischer of Visual Venturing sponsors the After-Before Friday Forum which provides anyone wishing to participate to exchange ideas about the creative power of post-processing. There is always something new going on and I encourage you to check out the submissions by the other participants here. My submission this week is dedicated to several readers who offered some helpful suggestions to the ABFriday post last week and also in Week 28. I have incorporated those suggestions into the image from last week and that image now has a new look. All work was done with Photoshop CC. I’ll be interested in hearing reactions to the changes. First, as a reminder, here is the starting point for the revisions. The image below was the “Final Image” in last week’s post. Last week I asked readers about the cropping decisions on this image and I received a number of ideas, all involving removing a portion of the sky with some of those also suggesting taking a bit off the sides. 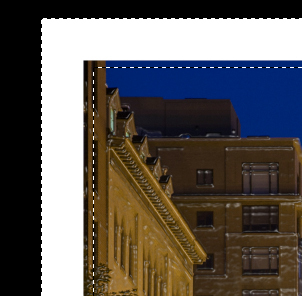 One person suggested a 1X1 format, similar to the typical Instagram default size. That seemed like the most radical change and that variation is shown below. Those with excellent memory will recall that two weeks ago (ABFriday Week 28) a reader asked how the “ripped border” effect on the Week 27 image was accomplished. (That post can be found here.) I didn’t recall (5 years is a long time) but said I would attempt to find out.. After 2 weeks of fruitless searching, Janice Foreman came to my rescue with a “how-to” guide that she had found. The technique was similar enough that I was able to add a few tweaks and produce something that was pretty close to the original ripped border effect. For those who are interested, the guide Janice found can be located here. I should note that using this tool will require some experimentation because the effect varies according to the size of the starting image. 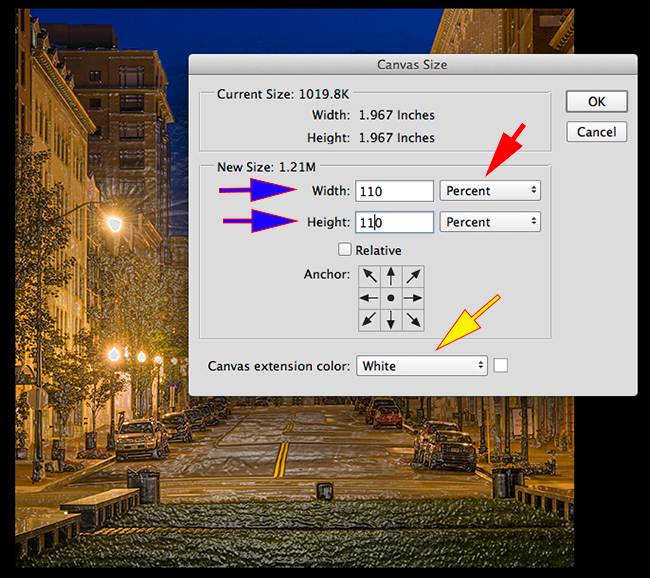 The image size used for this demonstration was 2800 X 2800 pixels at 300 ppi. >Click OK and a white border should appear. >Click on Filter->Filter Gallery and a full screen dialog window will open. The controls are found in the upper right corner (see detail image below) and the image will appear in a large Preview section on the left (not shown). >Adjust the other controls to your taste and the effect will be shown in the Preview Window. In this case, Distortion is set at 11, Smoothness at 3, and Scaling at 131%. >Click OK and it’s done. The Final Image is shown below. The result is close, but not identical, to the effect achieved in the Week 28 image. 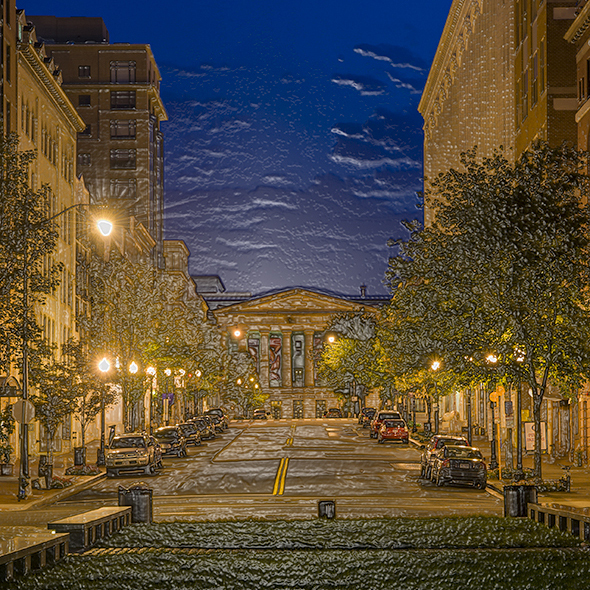 However, the Photoshop Filter Gallery offers a wealth of options and is a great place to play during a rainy afternoon. Once again, thanks to Stacy and all of the participants in this week’s Forum. I hope you will check out the others at Visual Venturing ABFriday Week 30. 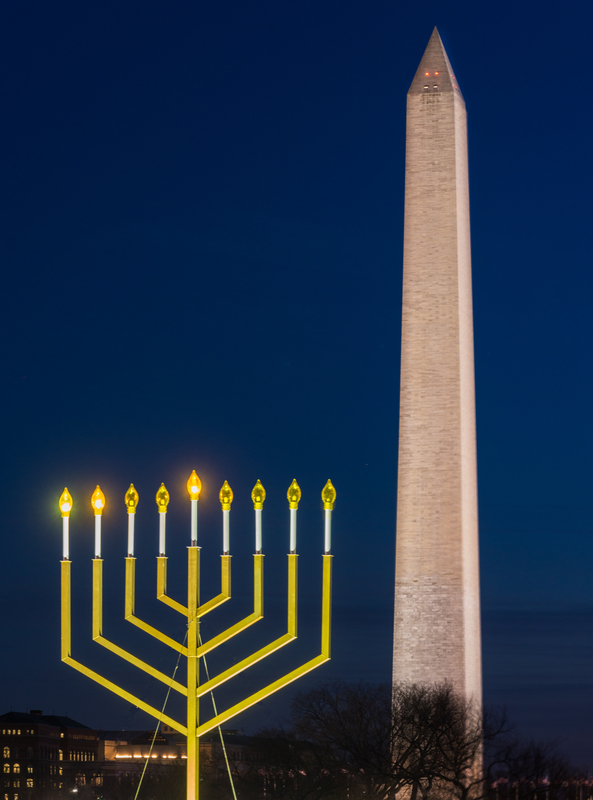 The Holiday season in Washington, DC was marked this week by the lighting ceremony for the National Menorah on Tuesday, December 16th. 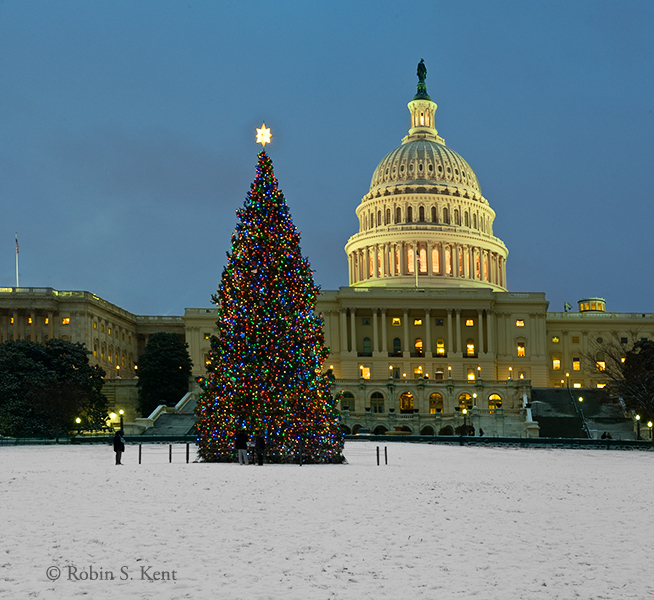 The ceremony for the National Christmas Tree was held earlier this month and I took the opportunity of the good weather last night to check out the scene. Both are on the Ellipse, just south of the White House. 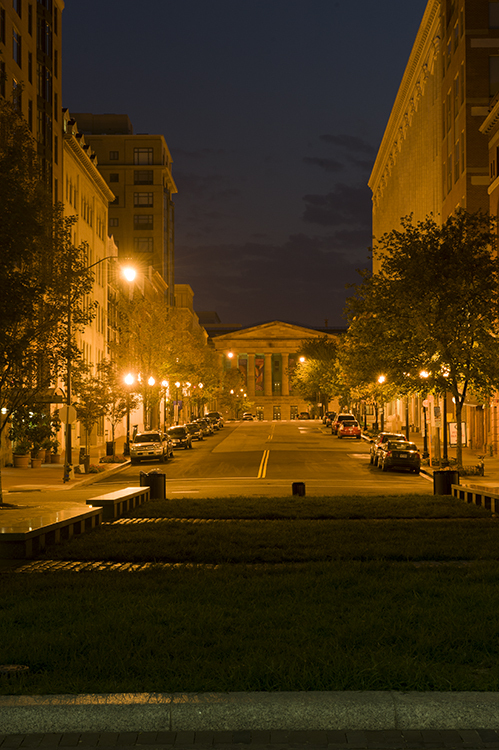 There isn’t a lot of parking in the immediate vicinity, but it’s a short walk from the Farragut West Metro Station. 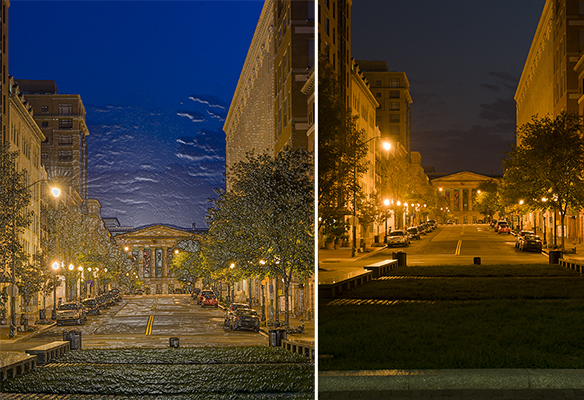 Each Friday, Stacy Fischer of Visual Venturing hosts a special forum on post-processing where photographers may submit images and describe their post-processing actions to achieve the final result. This week marks the 29th consecutive episode and I fully expect there will once again be an interesting set of examples by the participants. Here is the link for the ABForum Week 29 Central Command. Please check it out. The above image is a “Reject” taken about four years ago and this week the idea was to see if a heroic rescue could be achieved. After all, I had learned a few tricks since the image was taken and Photoshop has added a ton of new capabilities during that time. But alas, a transformation from forlorn reject into a splendid representational masterpiece was not to be. The first step, as always, was in Adobe Camera Raw. The adjustments made were as follows: White Balance changed to tungsten; Exposure increased +0.35; Highlights decreased to -68 to reduce the bright glare of the street lights; Shadows increased to +100 to open up the dark areas; Clarity upped to +38; Vibrance moved up to +37; and Saturation nudged to +8. The results are shown in the image below. Next, a variety of Photoshop actions were taken but there is no need to list them since they did not help much. This left two choices: another image could be chosen and the process could start all over. Or, I could fall back on the techniques used in last week’s Forum and abandon realism altogether. In other words, return to the hallucinatory environment known as Photoshop’s Filter Gallery. So that’s what happened and the image below is the result (Technical details at the end of the post). 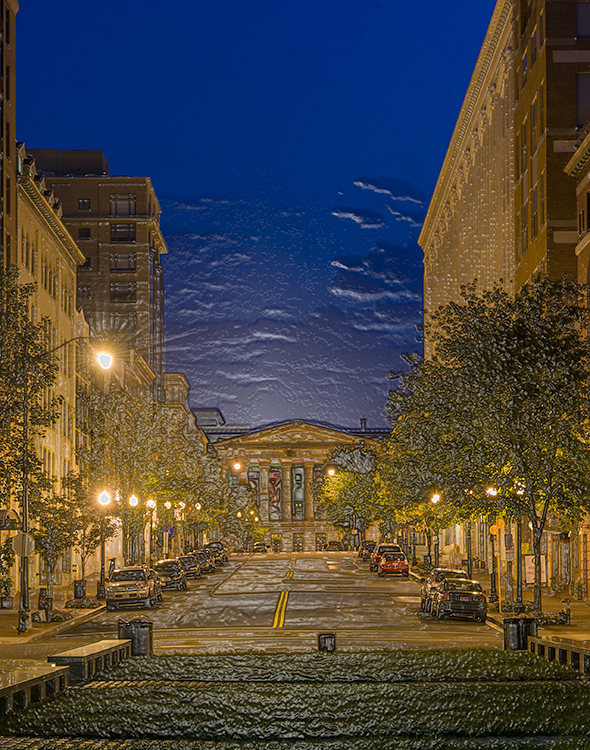 I’m not sure this is a great result; it might be better if some of the upper portion was cropped out to eliminate the untextured part of the sky. Any thoughts from viewers would be welcome. The image was cropped to eliminate the unattractive foreground. 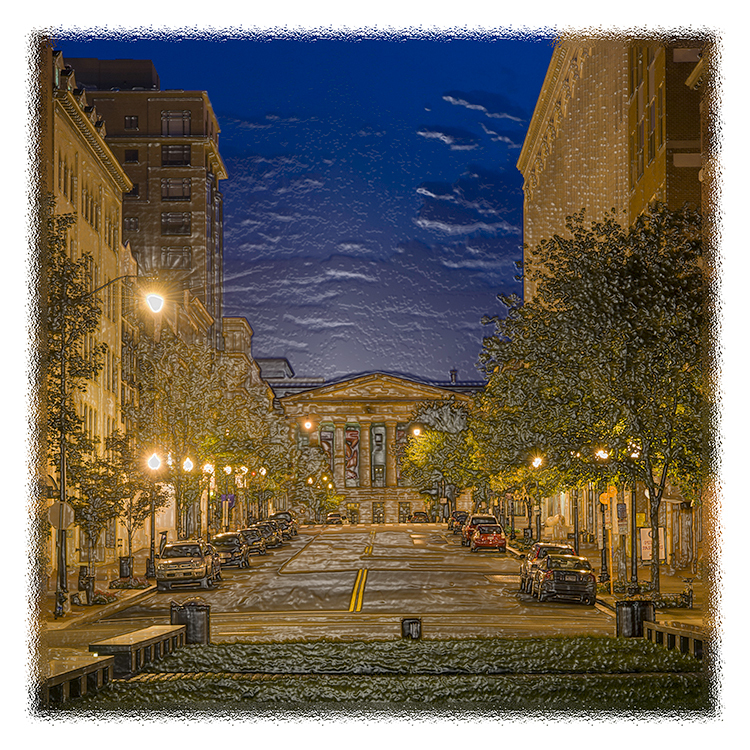 When using the filter gallery one needs an 8-bit image, a 16-bit file won’t work. To verify this, just click on Image->Mode and make sure 8 bits/channel is checked in the drop-down menu. The second rule, at least for those (like me) who don’t have extensive experience with the Photoshop filter gallery, is to just try each option until you find something that works well. When ready begin, click on Filter–>Filter Gallery and a large display panel will open. A partial screen capture is shown above. The choices are listed on the right side and a preview of the image is displayed in a large panel on the left (mostly not shown). I started with the variations listed under Artistic (blue arrow) and merely worked my way down looking for one that had some possibilities. After 8 strikes, I landed on “Plastic Wrap” (red arrow) and, as I did with the others, started adjusting the three controls. 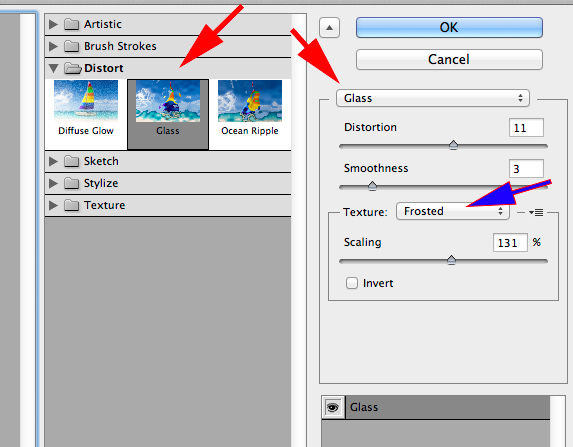 The settings I chose are shown in the screen capture (yellow arrow). Again, thanks to Stacy for keeping this Forum running smoothly and thanks to the other participants who make this such an interesting weekly event. Please check out their submissions at Visual Venturing’s ABFriday Forum Week 29.